Now that the parades have happened, Championship and MVP trophies given out its time to check where every NBA player I've seen stands with these ever adjusting legacies. For my lifetime I'm going to go from 1982 to now. So this eliminates Wilt, Kareem, Oscar, Russell and those players I never really saw at all or enough of to add to my list. Also others who haven't played long enough or sustained long enough like Chris Paul and D. Wade who may be on this list soon. 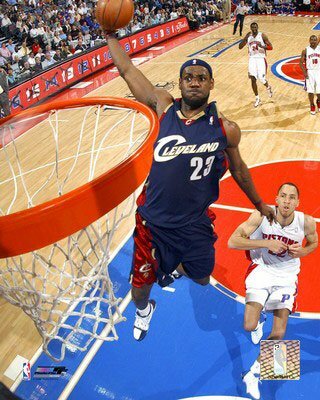 10 - Lebron James - There has not been a more physically gifted player. Of all the players that have come out of high school he was clearly the most ready. And unlike the others he came right in and made a difference. His game right now is based on athleticism and his knowledge of the game. And with that he already has a league MVP and arguably is the best player in the league. Once he develops a jump shot and or a reliable post up game he has the ability to rise to the top of this list. 9 - Isiah Thomas - The best little man in the last 20 years. People have forgotten how good he was with the Pistons because of the disaster he's been as a General Manager and Coach. But no one under 6 feet had a bigger impact on the court. He was a better scorer than Nash, better passer than Iverson and just a better all-around player than Stockton. And unlike all of those mentioned above he actually won a championship. Isiah could score at will but in order to win those championships he gave up some of his offense to make his team better. 8 - Charles Barkley - I think it is often forgotten how dominate he was during his Philly and Phoenix days. He played the power forward position at maybe 6 foot 4. He could dominate with scoring and on the boards, even though he was guarded and being guarded by guys 4-6 inches taller than him. For me he was more dominate than Karl Malone and is why he makes it on the list. 7 - Hakeem Olajuwon - The Dream got lost in the shuffle for a number of years down in Houston. But when Jordan retired for 2 years, Hakeem took full advantage and won a couple titles. And when he won his first title he didn't have another bona fide superstar on the team. He is the only one in my lifetime that has done that. He led a roster of players such as Kenny Smith and Mario Elie to a title. And in winning his titles he out played his contemporaries at his position Patrick Ewing and David Robinson. He had the unstoppable dream shake on offense and was an animal on defense. 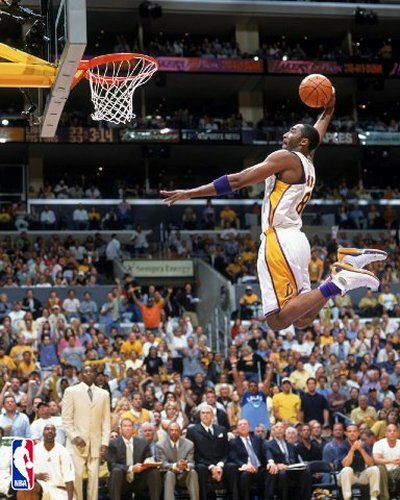 6 - Kobe Bryant - I can already hear the Kobe lovers crying. Sorry, but this is how I see it. He is the 2nd best offensive player I've seen. At points he is damn near unstoppable on the offensive end. Kobe's all-around game has progressed and he has been the best player in the NBA the last couple of years. His 4th championship and first without Shaq puts him on the verge of being in the top 3. But I need to see him lead his team as the Big Dog for a couple more years and a couple more championships as the guy teams are trying to stop. Those first 3 titles Kobe played a big part no doubt, but teams were trying to figure more how to contain Shaq. Kobe also has the ability to shoot up this list as early as next year to top 3. 5 - Shaquille O' Neal - I can hear the Kobe lovers again. Yes Shaq got a little fat and got a little lazy in his last years in LA. But for about a 5 year stretch he was the most physically dominant player in the NBA. There was nothing anyone could do to stop him on the offensive end. They even developed a strategy "Hack-A-Shaq" that gave up on stopping him with defense and just played on his poor free throw shooting. And during the Lakers 3 championships he averaged 35-15. Those numbers are astonishing when u consider he was being double and triple teamed. If Shaq ever shot 65% from the line he could've moved up into the top 3. .4 - Tim Duncan - The "Big Fundamental" as Shaq called him has the same number of championships as Shaq and Kobe. His post game is exceptional and his defense is underrated. As a rookie he came in and led a team to an NBA title and won the Finals MVP. Old school players who don't give any new school players credit seem to all agree he is the best power forward of all time. He has been consistent in the league from day one and has given you the same effort and stats his whole career. While not making a lot of spectacular plays he has been the same key component on all of the Spurs championships. 3 - Larry Bird - He is the least athletic on my top ten list. And that makes his placement even more impressive. His battles with Magic Johnson and the Lakers are clearly the best basketball I've seen. He had the uncanny ability to be the best player on the court without making the most spectacular plays. There was NEVER and I say NEVER a better late game shooter. No one hit more crunch time jumpers or 3's when everyone knew it was going to him than Bird. He could pass, shoot and do all the intangibles that made him and his team better. The fact that he only won 3 titles can be blamed on the next person on the list. 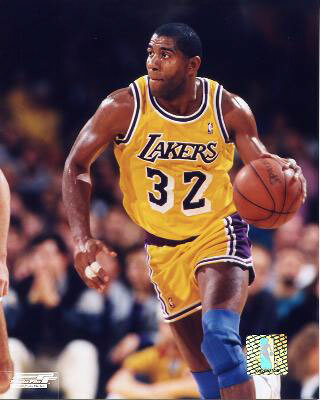 2 - Magic Johnson - He is the best team player EVER. Whatever needed to be done for his team to win Magic would and could do. He was finals MVP not only as point guard, but as a center. No one will ever repeat that feat. Magic was never a great scorer but that was because making his teammates better was always the #1 thing on his mind. But Magic could score points in bunches when needed. And also hit a number of game winning shots in those battles against Bird and the Celtics. In terms of team leader he has no peer in ALL sports. 1 - Michael Jordan - Best basketball player EVER. On both ends of the court he was the best in his prime. And he still played in the era of hand checking and teams creating plans to stop him. No one hit as many career defining or game winning shots as Jordan. During an era with quality peers, once he started winning there was no one who could deny him. It is conceivable without the death of his father and his retirement for 2 years he could've won 8 straight titles. And in his championships he beat Magic, Barkley, Stockton, Malone, Drexler all top 50 players of all-time. During his era he beat back a lot of great players. And finally he averaged 20 points a game at the age of 40 for the Wizards. Yes, that's right for the Wizards. He is the guy that Lebron, Kobe and all of those want to be. no,lebron is better than kobe. Kobe is better .. one daz James will play like but he has to practice a lot if he want to plaz like Kobe.